Meet Diesel he came to New Hope Dog Rescue Oct 9, 2015. 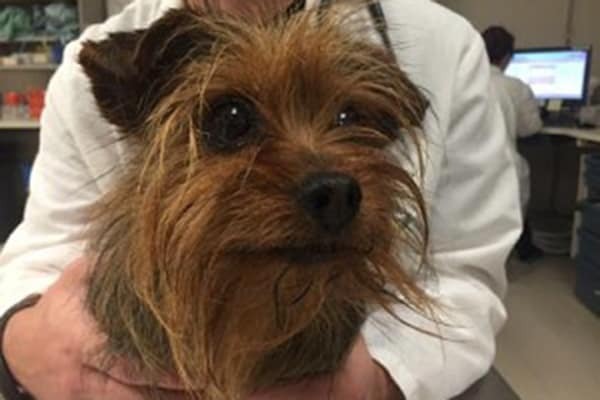 Diesel is a 9-year old yorkie who was attacked by another dog, fracturing his right hind tibia. He went in for surgery on October 10th. Thankfully this little fellow healed well. Once he recovered we had to deal with Diesel’s longstanding dental problems which involved the removal of 22 teeth!! It was pretty traumatic for the little fellow but his team of veterinarians and his wonderful foster home worked hard to ensure that Deisel had the best of care. Diesel is adopted (by his foster mom!). We called this a failed foster home but this is a failure we can truly applaud!! If you would like to make sure that NHDR can help dogs just like Diesel, please donate to the Guardian’s of Hope Fund! !